Sometimes I think economists are people who believe fervently in private enterprise and the profit motive, but have never actually met a business person. That doesn't apply to economists working for business, obviously, but it applies very much to the econocrats who give advice on economic policy and even, I suspect, academic economists. Living in Canberra doesn't help. One of the advantages of spending your entire career in the private sector, as I have, is that it disabuses you of the notion of business people as model economic agents rather than hugely fallible human beings. The economists' neo-classical model has an anti-government ideology hidden within it, which leads economists working in the public sector to idealise business people. They're rational operators and when they seem not to be that's only because governments have distorted the incentives they face. Business people rational? Oh, you mean like the bosses at Fairfax Media? You mean the period when we had chief executives in and out the door in the space of a year or so? The stories I won't tell. Business people don't have any better fix on what the future holds than anyone else, so often make decisions that turn out to be dumb. But they'll often realise that long before they pull the plug. And when they do they invariably blame the economy or government policy. The economists' model and methodology lead them to ignore all motivations bar monetary incentives. Since most people have plenty of other motives – worthy and unworthy – for the things they do, this leads the economists to a host of wrong predictions. But business bosses – from big outfits or small – would have to be the most money-motivated among us. Success is judged by the size of your package (even if it leaves you with no time to spend the stuff). Managers learn when they realise their staff isn't as money-hungry as they are. Public sector economists say they believe in the profit motive, but they have no conception of what a powerful force it is and what unpleasant surprises it can give you when you unleash it. It turns business bosses into short-term maximisers, willing to risk their company's future to make a quick buck. Alan Greenspan confessed that "those of us who have looked to the self-interest of lending institutions to protect shareholders' equity, myself included, are in a state of shocked disbelief". Years ago economists realised that public companies have an "agency problem" because the incentives facing the agents of its shareholder owners (otherwise known as chief executives) can conflict with the interests of those owners. The economists decided the answer was to use incentives such as share options and performance bonuses to align the interests of agents and principals. It's been downhill ever since. Why? Because money-hungry managers haven't been able to resist the temptation to game the system. It has probably done more harm than good. Business people are so motivated by the profit motive they're always looking for loopholes and bending the rules. This year's revelations about the behaviour of seemingly respectable firms in the way they pay casual employees suggests they may even go further than that – and that the designated regulators are mighty slow in doing their job of policing the regulations. The econocrats don't seem to have realised that when you give people a chance to put their hand in the government's pocket, they go as crazy as people who take home all the shampoo and soap sachets from the motels they visit. In the rush to get new homes built before the goods and services tax was imposed on them in July 2000, punters pushed up home prices by a lot more than the 10 per cent tax they were avoiding. For an example of business people doing crazy, destructive things to get into the government's coffers, look at the operators willing to risk the lives of the kids installing pink batts. This kind of money-madness seems to happen every time the other-worldly econocrats persuade the government to "contract out" the provision of some government service and invite private businesses in on the act. The latest is for-profit providers of vocational education exploiting the government's HECS loan scheme by offering students a free laptop if they sign up for dubious courses. By now, such an outcome was eminently predictable. Government incentives often induce people, whether punters or profit-seekers, to do greedy, dishonest and even self-destructive things. Working for government seems to convince economists that, if they couldn't only get to meet a business person, he or she would be a wonderful, caring human being. Showing for one night only: Aboriginal Economics. Have you ever wondered what the Australian economy was like before all the whities arrived? I've just been reading a book by our great economic historian, the late Professor Noel Butlin of the Australian National University - Economics and the Dreamtime: a Hypothetical History, published posthumously by Cambridge University Press in 1993. Though for many years it was believed there were only about 300,000 Aborigines in the land before the First Fleet arrived in 1788, Professor Butlin calculates that it was much higher: between 1 million and 1.5 million. They lived as bands of hunters and gatherers, ranging in size up to about 40 people. So did they have what you could call an economy? Of course they did - though, naturally, it was very different to ours. There was no money or markets and not much trade between the bands. But decisions were made about production and consumption, there were rules of distribution, forms of property rights, a division of labour and efforts to raise productivity. One researcher, Marshall Sahlins, has argued that Aborigines deliberately sought a low standard of living in terms of food, shelter and clothing. But, accepting this, they were "the original affluent society". Reports from the early explorers suggest that Aboriginal bands hunted and gathered for only four to six hours a day, but frequently appeared to have plenty of food in their camps. They seemed to spend a great deal of their time gossiping, playing or sleeping. Sahlins's purpose was to combat the modern assumption that material wants are infinite and the old view that hunter-gatherers were exposed to continuous risks of starvation and needed to work long hours each day. That's fine, but Professor Butlin rejects the corollary that Aborigines failed to develop an advanced culture because of idleness. His argument is that what may seem to be leisure or idleness to Western eyes was actually economic activity to the Aborigines. For one thing, in a culture without writing, talking is the main way of communicating information. A lot of talking has to take place to preserve and pass on the group's knowledge of how the world works. He speculates that much of the "gossip" could have been meetings of the band's production planning committee: discussions about what game to hunt, what food to gather, where to look for it, when to move on and so forth. What has been seen by Europeans as merely leisure-time activities, in which children participate in games of skill and agility, is important as education. "Reputed games of a form of 'football', organised throwing of small spears or boomerangs, climbing and wrestling could all transmit skills; and adult oversight of these activities could appear to be indolence," he says. And time spent in ritual and ceremony was accorded far more value than mere leisure. Ceremonial activity served the purpose of preserving identity and order within the group, and so preserved economic efficiency and equity. The general division of labour was that men hunted and women gathered. This fitted their "comparative advantage" since women were responsible for carrying or caring for children. Certain styles of hunting, by tracking and chasing larger animals or by tree climbing and chopping, required the hunter to be unencumbered. Gathering of plants, seafoods or eggs was more suitable for encumbered members of the group. Some production, including fishing, occurred at night - which would explain why "shift-workers" slept during the day. Production of capital goods was limited and they were often nondurable. Even so, there was a demand for clothing, bedding, stone tools and myriad wooden and fibre implements, as well as items needed for long-stay and short-stay dwellings, canoes or rafts. On occasions when the bands joined in tribal meetings, large numbers of men (maybe several hundred), together with dogs, took part in great kangaroo hunting drives. "Efficiency derived from the ability to contain animal movements, more quickly capture wounded animals, share in transportation back to camp and so on," he says. So this is an example of the pursuit of economies of scale in production. The most striking example of the use of capital equipment to increase production was the development in Western Victoria of massive networks of eel canals, directing and restricting the movement of eels in rivers. The provision and maintenance of this asset, which entailed a great deal of communal effort, not only increased the yield per person but also enhanced the supply. Another production technique was "fire-stick farming". The burning of limited areas (which required great skill and effort to limit the area) was used to capture game (in conjunction with net fences) or to expose other foods, including eggs, slow-moving creatures and yam fields. It can be argued that burning raised the productivity of the land and this is part of Professor Butlin's claim that the Aborigines weren't just hunters and gatherers but "resource managers". Their moving from place to place was partly dictated by seasonal crops and by drought. But "Aborigines appear to have been concerned with long-term viability and with a degree of resource management that would ensure their ability to return to any location, not merely to 'mine' one and leave it". There is evidence also of technological advance. Stone tools became smaller, finer and possibly more precise. The exploitation of fine stone spear tips would have improved killing efficiency. The advent of the hafted fine-stone chisel or adze greatly improved efficiency in the hollowing of logs, the shaping of spear-throwers, the construction of shields and the removal of bark for canoes, housing or artistic products, including all forms of carving. One technological breakthrough, however, was imported. The dingo arrived with the trepang fishermen from Sulawesi. It appears to have spread rapidly throughout Australia and enabled a great increase in hunting efficiency. What does all this prove? Well, just for once, it doesn't have to prove anything. But it does show that, to an economist, economics is everywhere. How many Aboriginals died after the colonialists arrived? If we can't lift our minds from earnest discussion of the economy and its discontents between Christmas and New Year's Day, when can we? So let's take a summer squiz at the work of the rapidly diminishing band of economic historians. One of the most interesting things they do is try to piece together economic statistics covering the years before much official effort was devoted to measuring the economy. The United States didn't start publishing figures for gross domestic product until 1947; we didn't start until 1960. The global doyen of economic historians was the Netherlands-based Scot, Professor Angus Maddison, who devoted his career to "backcasting" GDP to 1820 for all the major economies and regions of the world. Despite all the unavoidable and debatable assumptions involved, Maddison's estimates are still widely used. They're a reminder that, before Europe's Industrial Revolution, the two biggest economies were China and India. Australia's most distinguished economic historians were Noel Butlin, of the Australian National University, and his older brother, Syd, of Sydney University (after whom its Butlin Avenue is named). Noel backcast Australia's GDP to 1861, then began researching what the Australian economy must have been like before white settlement. He wrote up his findings in Economics and the Dreamtime: A Hypothetical History (which I wrote up in a column on April 5, 1995). As part of this research Butlin devoted much effort to estimating the size of the Aboriginal population before 1788. The anthropologist Alfred Radcliffe-Brown wrote in the Commonwealth Yearbook of 1930 that it would have been more than 250,000, maybe even more than 300,000. But Butlin's piecing together of the evidence told him this was way too low. He wrote in 1983 that it would have been 1 million or 1.5 million. Then in 1988 some of Australia's leading archaeologists, led by John Mulvaney, argued that a more accurate estimate would be between 750,000 and 800,000. This has become accepted as "the Mulvaney consensus". Now enter Dr Boyd Hunter, of the Centre for Aboriginal Economic Policy Research at ANU. 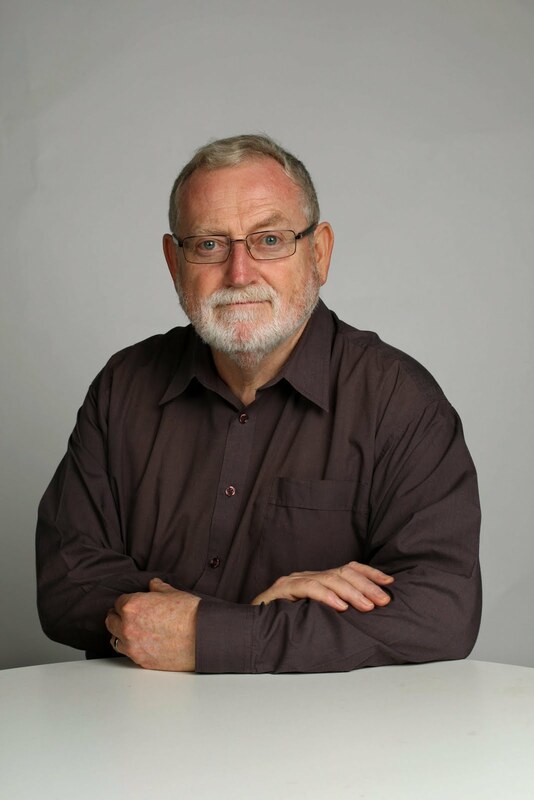 With Professor John Carmody, a physiologist at Sydney University, he published this year in the Australian Economic History Review a long paper reviewing Butlin's population estimates. The point, of course, is that the Aboriginal population declined dramatically in the early days of white settlement. We can be reasonably confident that, by 1850, the Indigenous population was only about 200,000. Thus backcasting the figures to 1788 involves determining the main factors that led to the loss of Aboriginal lives and estimating how many lives they took, then adding them back. So the paper is a kind of whodunit. One factor springing to the modern mind is that the unilateral appropriation of Aboriginal land led to much frontier violence, which started shortly after the arrival of the First Fleet and persisted well into the 20th century. "Like any war, declared or otherwise, the conflict led to many deaths on both sides," the authors say. But even the controversial historian, Henry Reynolds, estimated the number of violent Aboriginal deaths at as many as 20,000, making this only a small part of the explanation. Butlin allows for Aboriginal "resource loss", where tribes' loss of productive members and land used for sustenance led to people dying of "starvation or dietary-related diseases". Butlin's calculation implies this factor would have involved as many as 120,000 people. That's still not the biggest part of the story. No, the big factor is the spread of introduced diseases. Such as? Tuberculosis, bronchitis and pneumonia, not to mention venereal disease. But the big one is smallpox. Butlin and others have assumed that it spread rapidly around Australia along the extensive pre-existing Aboriginal trading routes after its first recorded outbreak in Port Jackson in April 1789. In 2002, however, the former ANU historian Judy Campbell argued in her book, Invisible Invaders, that it was brought to Northern Australia by the Macassan coastal traders following its outbreak in Sumatra in 1780, then spread across the continent, reaching Port Jackson by early 1789. This is where Hunter – no doubt relying heavily on the expertise of Carmody – brings to bear modern medical understanding of the infectiousness and mortality rates of various diseases. Although smallpox has a high rate of mortality – between 30 and 60 per cent of those who contract it – it's not highly infectious. This means it happens most in densely populated areas and doesn't spread rapidly to distant areas. This casts doubt on Campbell's theory that smallpox spread rapidly from lightly populated Northern Australia to densely populated NSW. But it also casts doubt on Butlin's theory that smallpox spread rapidly from Sydney to the rest of Australia via Aboriginal trading routes. So what's Hunter and Carmody's theory? Are you sitting down? Gathering all the suspects in a room, detective Hunter deftly turns the finger of guilt from smallpox to the so-far unsuspected chickenpox. The two are quite separate diseases, but this wasn't well-known in the 1780s. And since they both give rise to rashes or spots around parts of the body, many people may not have been able to tell the difference. The point, however, is that chickenpox is about five times more infectious than smallpox, meaning it could spread a lot faster. It can recur in adults as shingles, which is also highly infectious. When adults contract chickenpox it can be fatal. When the authors use chickenpox to do their backcast, assuming a low mortality rate of 30 per cent and also taking account of resource loss, they get a pre-contact Indigenous population (including up to 10,000 Torres Strait Islanders and up to 10,000 original Tasmanians) of about 800,000 – which by chance fits with the Mulvaney consensus. If so, colonialists didn't outnumber the (much diminished) Aboriginal population until the mid-1840s. And by 1850 the total Australian population was still 25 per cent smaller than it was before colonisation. The beauty of Christmas is that it's a time when everyone's happy. Well, not quite. Better to say, it's a time when everyone tries to be happy, but we succeed in varying degrees. When Dr Peter Clarke, of Griffith Business School in Brisbane, surveyed 450 people to ascertain the nature of "Christmas spirit", he found it had five components: bonhomie, gay abandon, ritual, shopping and a little bit of dejection. Yes. We all have periods of less-than-perfect bliss and perhaps we don't have any more of them at Christmas than at other times; it just feels that way because we expect to be happy at Christmas and are surrounded by people trying so hard to be. Perhaps. But my guess is more of us do experience periods of unhappiness at Christmas. There are those who, for various reasons, have no family or friends with whom to celebrate, or those who miss those now missing. Then there's all the distress arising from overadministration of that substance supposed to magically generate good moods. Too many hangovers after too many Christmas parties, regretted behaviour at the office party (this year, Fairfax Media employees received a stern warning that no tolerance would be shown), things said around the dinner table that would have been better left unsaid. Old wounds opened. Yes, Christmas has its share of unhappiness, even if just the wish we hadn't eaten (or spent) so much. There are, of course, a few traps that can be avoided. If, as some clerics allege, materialism has become our dominant religion, Christmas must surely be our most sacred economic festival. But the evidence suggests that's not the way to wellbeing. I've said it before, but it's one of my strongest conclusions after decades of economy-watching, so I'll say it again: the trick to succeeding in the capitalist system is to say no to most of the blandishments of the capitalists. Professor Tim Kasser​, a psychologist at Knox College, Illinois, and Kennon Sheldon, a professor of psychology at the University of Missouri, wanted to determine what makes for a merry Christmas. They asked 117 people of varying ages questions about their satisfaction, stress and emotional state during the Christmas season, as well as questions about their experiences, use of money and consumption behaviour. They found that those who most remembered family and religious experiences were happier than those for whom spending money and receiving gifts were the main things they remained conscious of. Of course, for many of us, religious experiences are no longer part of Christmas. Don't take this the wrong way – I'm not on a recruiting drive – but I suspect those who retain a religious commitment already have "man's search for meaning" sorted, while the rest of us can spend a lot of time looking for substitutes. All those claims that the environment or economics or libertarianism or a dozen other things have become "the new religion" are unconsciously affirming that humans function better when they have something to believe in, something outside and above their own self-centred concerns. There's psychological evidence to support that. It doesn't have to be the Christian religion, however. And other research has shown that a big part of the benefit people get from church-going, or its equivalent, is social contact and membership of a group. One advantage of a religious upbringing that's of particular relevance at Christmas is an instinctive understanding that, to quote some chap supposed to have been born at this time, "it is more blessed to give than to receive". Think of Christmas as about giving rather than receiving and you're well advanced towards a happier time. And, naturally, there's empirical support for the notion. A study by Elizabeth Dunn and Lara Aknin​, of the University of British Columbia, and Michael Norton, of Harvard Business School, first asked a sample of 632 Americans to rate their general happiness, report their annual income and estimate how much they spent on bills and expenses, gifts for themselves, gifts for others and donations to charity. They found that personal spending was uncorrelated with happiness, whereas higher "pro-social spending" correlated with significantly greater happiness. Next, 16 employees were tested for their happiness well before and well after they received a profit-sharing bonus. They found that those who devoted more of their bonus to spending on other people or a charity experienced greater happiness after receiving the bonus. And how they spent their bonus was a better predictor of happiness than the size of the bonus itself. This, of course, is just a narrower application of the much-noted principle that happiness can only be achieved indirectly. If you want to end up realising you're happy, focus on increasing the happiness of others, not your own. In discovering all these studies, I must acknowledge the assistance of the British psychologist, Dr Jeremy Dean, author of the blogsite PsyBlog. I'm indebted to him for drawing to my attention a study by Vohs, Wang, Gino and Norton, which finds that engaging in ritualised behaviour enhances the enjoyment of food, particularly if it makes you wait a little longer. So, Christmas rituals are important. In my family, we repeat a short but almost incomprehensible Scottish grace by Rabbie Burns that our mother taught us, to the bemusement of in-laws. I hope events prove me wrong, but I have a feeling that, whatever its other virtues, the Turnbull government won't be the one to get the budget back to surplus. And that does matter. One of the reasons we escaped the Great Recession was that, unlike other countries, we went into it with little public debt. This allowed us to stimulate private sector activity and restore confidence with vigour and without hesitation. It's looking likely we won't be so well placed next time. We used to have exemplary fiscal discipline – an example to the world – but now that distinction is slipping from our grasp. It's become a twice yearly ritual for the treasurer to produce 10-year budget projections invariably showing the budget balance heading steadily back to ever-rising surplus. The first such exercise, produced by Wayne Swan in his last budget in 2013, showed us returning to surplus by this financial year, 2015-16. Just a few months later, Labor's last statement pushed it back to 2016-17. Joe Hockey's first budget pushed the date back to 2018-19 and his second to 2019-20. Now Scott Morrison's mid-year update has shifted the return to surplus back to 2020-21. This ought to be enough to convince you these ever-confident predictions are not to be trusted. They're mere projections, based on assumptions that soon prove overly optimistic. Any treasurer who endlessly repeats the ideologically blinkered but patently absurd line that the budget doesn't have a revenue problem, it has a spending problem, can have no credibility as a budget repairer. The 2014 budget was the ultimate demonstration that, while repairing the budget almost solely on the spending side may be theoretically possible, it's not practically possible. Such plans can't be made to stick because they're too unpopular and too aimed at requiring the least able to bear the heaviest burden. It seems Morrison's stopped repeating this mantra, but his replacement rhetoric is no better: "Our plan is straightforward – responsibly restrain expenditure while supporting economic growth to lift revenues." Translation: we're prepared to do no more than match our inevitable new spending programs with offsetting savings – as we did last week – while we wait for the economy to return to trend growth and so allow the budget to fix itself. This tells you Malcolm Turnbull isn't willing to increase taxes overtly but, by the same token, isn't willing to make major cuts in government spending that might cost him votes when he gets his ascension endorsed by the electorate next year. If Turnbull goes to the election without mentioning a plan for slashing spending in his next term, what are the chances he'll do it anyway? Not great. It's possible Morrison has stopped claiming the budget doesn't have a revenue problem because the plan is to cut back superannuation tax concessions as part of the tax reform package. It's also possible the tax package will involve net savings to the budget, if not immediately then a few years down the track as the revenue saving measures grow faster than the cost of the tax cuts. It's possible, but I won't be holding my breath. It's more likely the political frictions in the tax package will require it to be "budget negative", so that – whatever the happy claims about it encouraging people to "work, save and invest" – it sets back the budget's return to surplus. Last week's mid-year update reveals Morrison to be presiding over a structural budget deficit equivalent to about 2 per cent of gross domestic product, even while he peddles the line that economic growth will get us back to surplus. Don't believe it. By definition, the structural deficit is the deficit you still have after the economy has returned to trend growth. Only if the economy were to be in an inflationary boom might the cyclical surplus be big enough to hide the underlying structural deficit. No, only explicit decisions to cut spending or increase taxes will reduce the structural deficit – with one key exception: bracket creep. Not deciding to index the income tax scales for inflation does help reduce the structural deficit. Buried deep in the update's fine print (bottom of page 19) you find a sentence which, after you've reread it a few times, tells you that to help achieve the appearance of an ever-improving budget balance, the government has quietly pushed the assumed tax-to-GDP cap of 23.9 per cent out by another year to 2021-22. Translation: Morrison latest "don't worry, we'll get back to surplus eventually" projection is built on the assumption of another six years of bracket creep. But would this government ever increase taxes? Never. With the success of the Paris agreement on climate change, it's clear Australia will have to lift its game if we're not to be seen as global bludgers. But with an early return to carbon pricing an embarrassment for the Coalition, what other approaches should we consider? Take the campaign for a global moratorium on the construction of new coal mines. Is it just a misguided idea dreamt up by idealistic greenies who don't understand economics? Jon Stanford, of Insight Economics, thinks so. He's a former senior econocrat and an avowed supporter of action to reduce carbon emissions. But in a long post on John Menadue's blog, Pearls and Irritations, he argues strongly against a moratorium. He readily acknowledges that substantial "social costs" or "negative externalities" – such as the emission of climate-changing greenhouse gases – are imposed on the community by the use of coal. "There is little doubt that the combustion of coal to produce electricity has made the greatest contribution to increasing carbon concentrations in the atmosphere," he says. But the most economically efficient way to deal with climate change is to tax all carbon emissions by means of a carbon tax or an equivalent emissions trading scheme. "Banning new coal mines would reflect an arbitrary approach to reducing emissions. On what basis should various fuels be permitted or banned? Why is coal to be singled out but other fuel with significant emissions such as oil and gas are not?" So his first objection to a moratorium is that it seeks to reduce climate change in a way that doesn't minimise the resulting loss of efficiency in the allocation of resources. His second objection is more practical: it wouldn't work, anyway. He says that, according to the International Energy Agency's latest World Energy Outlook, global demand for electricity will increase by 70 per cent between 2013 and 2040. The agency's middle projection, based on the commitments to counter climate change that countries took to the Paris conference, sees coal's share of global power generation still at 30 per cent in 2040 (compared with 41 per cent in 2013), meaning growth of nearly 25 per cent in absolute terms. Stanford says that "while the Australian coal industry is a very efficient producer it does not dominate the global market and could not be said to possess any significant market power". Australia's coal reserves amount to less than 9 per cent of global reserves. As a producer of steaming (thermal) coal, we rank a distant sixth behind China, the US, India, Indonesia and South Africa, not far ahead of Russia and Kazakhstan. These other countries are unlikely to agree to a global moratorium on new mines so, were Australia to impose a moratorium on itself, the investment in new mines displaced from Australia would merely take place in other countries. Malcolm Turnbull has used the same argument. Sorry, but I'm not convinced. It's true that a global carbon price would be a more economically efficient solution than an arbitrary moratorium on new coal mines. But with the problem worsening as each year passes, we don't have the luxury of waiting until a "first-best" solution can be agreed upon. In an emergency, second-best solutions are better than inaction. As for the practicalities of a unilateral Australian moratorium, the facts are more complex than Stanford implies. The International Energy Agency's figure of a 70 per cent increase in global demand for electricity is an assumption, not an estimate. All 25-year projections are just projections, and likely to be wrong, often because they're overtaken by events. The agency's projections don't take sufficient account of the fall in China's coal consumption over the past 18 months. Projections that don't allow for further technological advances and price falls in renewables and energy storage, nor for countries to step up their efforts to reduce warming, over the next 25 years, are particularly unreliable. Stanford's figures for global coal reserves and even global coal production aren't relevant. That's because not all coal is the same. Some is high quality – in terms of its ability to generate more electricity – some is low. Some can be extracted quite cheaply, some would be very expensive. Coal is a low value commodity that's expensive to transport over long distances. This means a high proportion of coal deposits and domestic coal production is irrelevant in assessing Australia's market power and the likely effects of a unilateral moratorium. What determines the world price is seaborne exports of thermal coal. A Reserve Bank analysis shows Indonesia's low-quality coal has 41 per cent of world exports, while we come second with 18 per cent. Australia is a high quality, low-cost producer, which makes us a more powerful market player than the raw figures suggest. World prices of steaming coal have fallen a long way since their peak in 2011, in response to a huge increase in supply (mainly by Indonesia and Australia) and flat world demand. If our 52 proposals to build new coal mines or expand existing ones went ahead, this would eventually double our exports. Do you really think that would have no effect on the world price? If it caused the world price to be lower than otherwise, this would hurt our existing coal mines, their lenders and their employees. It would also hurt existing and prospective renewable energy projects. And it would cause the price to be even less reflective of the high social costs caused by carbon emissions, the adverse effect on miners' health and air pollution around coal-fired power stations (the latter a big part of China's reasons for turning against coal). With the world coal price relatively low, it's not at all clear other, higher-cost producers would happily step in to take our place. If they could, why aren't they doing it already? The future for coal is a lot more uncertain and less rosy than Stanford implies. There is nothing in the mid-year budget update to be alarmed about, but nor does it suggest Malcolm Turnbull will do any better than his predecessors at getting the budget back to surplus. The news on the budget deficit is bad, but no worse than we expected. It's bad not through mismanagement but because of factors beyond the government's control. In total, deficits over the next four years are now expected to be about $26 billion bigger than thought at budget time in May. Fortunately, however, the budget is not the economy, not even in microcosm. It's just an estimate of the federal government's incomings and outgoings which, while capable of affecting the economy of far greater private sector production and consumption, is mainly just a reflection of the state of that economy. So care about the state of the economy first, then about the state of the budget if you have care to spare. The outlook for the deficit has deteriorated mainly because it's now likely the economy won't be growing as strongly as expected at budget time, because some key export prices have fallen by more than expected and because wages have increased more slowly than expected. Scott Morrison announced some housekeeping measures which, he says, will be sufficient to fully cover the cost of the government's new spending measures since the budget, including last week's innovation package. Though the weaker outlook for the economy is hardly good news, we didn't need the budget update to tell us about it, so don't count it twice. One of the main tests of an economy is whether it's generating enough jobs to accommodate the growing number of people wanting to work. And here is the news good - indeed, better than expected at budget time. Using more conservative figures than those Morrison used, total employment has grown by a surprisingly strong 2.5 per cent - almost 300,000 extra jobs - over the year to November. More than half those jobs are full time. As a result, the rate of unemployment has fallen from 6.2 per cent to 6 per cent over the year, and the proportion of the working-age population with jobs has risen from 60.6 per cent to 61.3 per cent. Doesn't sound like things are going too badly, whatever the gloom and doom. Why so? Because, as Morrison explained, growth in the economy is shifting from mining to industries that are more "job intensive". Like his predecessors - Labor as well as Liberal - Morrison is right to say it would be counterproductive to respond to the lower-than-expected growth in tax collections by raising taxes or slashing government spending to try to make up the gap. The time for tax increases and spending cuts will come when the private sector is growing strongly enough to cope with a public sector pullback. Even so, measures will need to be taken at some - let's hope not too far off - point to get the budget back into surplus and the government's debt falling rather than rising. The budget update offers not a hint that such a plan is being prepared. What's that? It's all a far cry from the scaremongering about debt and deficit that Tony Abbott and Joe Hockey used to get themselves elected? Don't know what you're on about. Malcolm and Scott don't remember anything like that. I've never been impressed by those economists who think they can use their little pocket model of the economy to explain every aspect of life. Who want to understand the search for a partner by thinking of marriage as a market. Who think the only motivation – the only emotion – is the desire to make a buck. On the other hand, if economics is, as one great economist said, the study of the daily business of life, if none of us could exist without the wherewithal to pay for food, clothing, shelter and much else, if most of us have to work to earn that wherewithal, and if most of our time is devoted to producing and consuming, then it's hardly likely that big changes in the economy and education and technology have no effect on such things as marriage. So I thought it worth explaining the theories of two academic economists, Betsey Stevenson and Justin Wolfers. Wolfers is the young Sydney economist, long resident in America, who's most likely to make a name for himself in international economics circles. Already has, really. Wolfers has taken time off from his job as a professor at the University of Michigan while his partner, Stevenson, is working in Washington as an adviser to President Obama. Their theory is that economic and social changes have caused the basic rationale for marriage to change from "productive" to "hedonic". Historically, marriage has been the product of the economic environment of the time. People have used marriage and family to overcome the limitations of the formal economy at the time. Social institutions such as marriage have evolved as economic opportunities have changed and the economy's degree of development has risen. There was a time – I can remember it – when a number of goods and services, such as freshly cooked meals and childcare, weren't sold in the marketplace. And when keeping house involved long hours of labour. In such circumstances, it made sense for the family to become the firm producing these household services. It also made sense for the partners to a marriage to increase the efficiency of the "firm" by specialisation. It was usually the case that husbands, being better educated, were better suited to going out and earning income in the marketplace, while wives had prepared themselves for a life of child-rearing and housekeeping. Largely unconsciously, young women and men sought out partners they believed would be capable opposite numbers in such a production team. Then followed, in the lifespan of the Baby Boomers, much technological and social change, all of it with economic implications. With the invention of a host of "mod cons", housekeeping became a lot less time-consuming and onerous. Cheap imported clothing became available, so people stopped making and repairing their own. More processed foods and takeaways became available. "While the political emancipation of women is surely a key factor in their movement from the home to the market, deeper economic forces are also at play," Stevenson and Wolfers say. What came first? The rise of feminism, advances in technology or changes in the economy? Easiest to say they all happened at about the same time and interacted with each other. Once girls started staying on to the end of school, then going on to uni, things really started to change, in the way partners were selected for marriage and in the things going on in the economy. With more women wanting to take paid work, the market began supplying things to make that possible: more pre-prepared food, childcare, after-school care, people who mow your lawn, cleaners who can whip through your house in an hour before moving on to the next one. "These greater opportunities also connote a greater opportunity cost for a couple contemplating a stay-at-home spouse," the authors say. Advances in medicine have yielded rising life expectancy, and the average woman will now spend less than a quarter of her adult life with young children in the household. By increasing the number of potential years in the labour force, the opportunity cost of women staying out of the labour market to be home with children is higher. "Rising life expectancy also reduces the centrality of children to married life, as couples now expect to live together for decades after children have left the nest," they say. With women now better educated than men, we've seen the rise of a human version of "assortative mating": the tendency for people to marry those of the same level of education, even the same occupation. So what drives modern marriage? "We believe the answer lies in a shift from the family as a forum for shared production, to shared consumption . . .
Modern marriage is about love and companionship. Most things in life are simply better [when] shared with another person. "We call this new model of sharing our lives 'hedonic marriage'." Sorry, Malcolm, but it's not adding up. Of course, it's probably not intended to add up just yet. That's what our Prime Minister's still working on. But last week we got a big hint on how we'll be let down gently. Turnbull replaced Tony Abbott in September with three key tasks to perform: restore the government's popularity by being very different to his bellicose predecessor, make progress in delivering big business's reform agenda, and do better on returning the budget to surplus. For good measure, he needed to cheer up our business people, whose lack of faith in the economy's future was holding back the recovery in non-mining business investment. I have no problem with last week's package of measures to encourage innovation, even if there's no assurance most of them will prove effective. We've been promised that Tuesday's mid-year budget update will reveal how their cost of $1.1 billion over four years will be covered. Turnbull is providing what his predecessor never could, a positive "narrative" of how he, with a few judicious policy changes, is leading us onward and upward to a brighter, more prosperous future. All the talk of innovation is part of that. Fine. But it doesn't fit. His package of increased spending (and increased tax concessions) doesn't fit with Scott Morrison's rhetoric that increased taxation is unthinkable, so all measures to repair the budget must involve reduced spending. Nor do his new tax concessions fit with the most basic principle of tax reform: broaden the base to cut the rate. And even if he does find spending cuts to cover the cost of his new spending, they'll come at an opportunity cost to budget repair. Measures that could have been used to reduce the deficit have instead been used merely to stop it getting worse. A key tactic in Turnbull's efforts to restore big business's confidence in the government was to announce that all options for tax reform were now back on the table. Fine. But most of them were mutually exclusive. If you jump one way, that rules out jumping four other ways. In particular, we have at least three competing ways to use the proceeds from an increase in the goods and services tax. But if Turnbull is to take a tax reform package to next year's election, its details will need to be finalised before the May budget. So we've come to the point where Turnbull must start taking options off the table. Though it's not clear to many observers which options will go and which survive, it would be surprising if, by now, Turnbull and Morrison hadn't formed a pretty clear idea of where they want to end up. Almost three weeks ago, my colleague Peter Martin got way ahead of the game – so far ahead it suited not the government, the opposition or the media to admit they'd read his piece – and confidently laid out the various reasons why the government had pretty much decided not to go ahead with any significant changes to the GST. The first problem was that ownership of the GST had been bequeathed to the states. Why would the feds incur the huge political risk involved in increasing the rate or broadening the base of the GST just to make life easier for the premiers? But how could they use the proceeds from a GST increase for other purposes without paying a sufficient bribe to the premiers? Fail to do so and the premiers have nothing to lose by opposing the increase. The other big problem is that increasing the GST is political suicide without adequate compensation to low and middle income earners, but various changes since 2000 have made this very much harder and more expensive. More than half the gross proceeds from a GST increase would be needed for compensation, with a much higher proportion of it going as increases in welfare spending rather cuts in income tax. Everything that happened at last week's meetings with state treasurers and premiers was consistent with the thesis that the states have been cut out of the GST inheritance as just the first veil to be removed in the tax reform striptease. But with a deteriorating budget position, how could the government afford to cut income tax and company tax without having the net proceeds from a GST increase to call upon? It's obvious, though not easy: broaden the income tax and company tax bases by removing sectional concessions – superannuation, for starters – and use the proceeds to fund a revenue-neutral cut in tax rates. Not exactly what Turnbull's big-business backers were hoping for. What can governments do to encourage innovation? Well, as we learnt this week, Malcolm Turnbull can think of $1.1 billion-worth of things to do. His "national innovation and science agenda" involves 24 mainly small spending or tax concession programs, grouped under four headings. Culture and capital, to help businesses embrace risk and to incentivise​ early-stage investment in start-ups. Collaboration, to increase the level of engagement between businesses, universities and the research sector to commercialise ideas and solve problems. Talent and skills, to train Australian students for the jobs of the future and attract the world's most innovative talent to Australia. And government as an exemplar, to lead by example in the way government invests in and uses technology and data to deliver better quality services. Will all those programs prove to be money well spent? Who knows? The safest prediction is that some will and some won't. At present, the government is spending almost $10 billion a year on research and development. This involves about $2 billion on government research activities (mainly the CSIRO), almost $5 billion on grants to university and other research institutions (including medical research), and about $3 billion on tax breaks to business to encourage them to engage in R&D. We do know a fair bit about the effectiveness of schemes to subsidise business R&D activity, whether in Oz or other countries. And last week we saw the Australian Industry Report for 2015, produced by the chief economist of the Department of Industry, Innovation and Science, which reported the results of a new study of the effectiveness of the government's R&D tax concession scheme. But first things first. This week's innovation statement tells us "innovation and science are critical for Australia to deliver new sources of growth, maintain high-wage jobs and seize the next wave of economic prosperity". Which is nice, but what exactly is it? "Innovation is about new and existing businesses creating new products, processes and business models." Ah, so that means innovation is just the latest business buzzword for what economists have always called technological advance. That means we can believe the happy chat about how wonderful innovation is. Economists have long known that most of the rise in our material standard of living over the decades and centuries has come from advances in technology, which include better knowhow as well as better machines. R&D, the industry report informs us, is the main vehicle for innovation. You wouldn't know it from the cost-cutting efforts of Treasury and the Department of Finance over the years, but economists have long accepted that there's a good case for government spending on R&D and for government subsidy of business spending on R&D. A business engages in R&D in the hope that it leads to new or improved products and processes which will allow it make more bucks. They don't do it because they're nice guys but, even so, the rest of us benefit from their contribution to technological advance. This means R&D has the characteristics of a "public good" – a good (or service) that's "non-excludable and non-rivalrous". You can't exclude me from using it (which means you can't charge me for using it) and my use of it doesn't interfere with other people's use of it. Trouble is, public goods are a major instance of "market failure". We obviously benefit greatly from public goods – particularly because they're non-rivalrous – and so would benefit from them being produced in large quantity. But we can't rely on the market – profit-motivated businesses – to produce as much of them as we'd like. Why not? Because they're non-excludable. Because too many people can use them without paying. Economists call this the "free-rider" problem. They also say public goods generate "positive externalities" – benefits that go to people even though they weren't a party to the original transaction between seller and buyer. Where market failure can be demonstrated, you've made the case for government intervention in the market to correct the failure by "internalising the externality" – always provided the intervention doesn't end up making matters worse, which these days is called "government failure". So economists have long accepted the case for government to subsidise private R&D because this will benefit all of us, not just the business that gets the subsidy. Of course, this is just theory. It's worth checking to see if our government's R&D tax concession really does produce positive externalities. Does the knowledge generated by the subsidised firm really "spill over" to other firms? And, if so, what can we learn about how this works? To answer these questions the Industry department made available to Dr Sasan Bakhtiari and Professor Robert Breunig, of the Australian National University's Crawford School of Public Policy, data from its administration of the R&D program. The program began in 1985, but the data used was from 2001 to 2011, during which time the number of participants grew from less than 4000 firms to more than 9000. The program was open to firms in all industries, but the main industries using it were manufacturing, professional and scientific services, mining, and information media and telecommunications. The researchers found evidence of significant spillovers of knowledge to particular firms from firms in the same industry, their suppliers, their client firms and from universities. Significantly, these spillovers came from outfits located within 10 km of the receiving firm, except in the case of suppliers, which were located more than 250 km away. This leads the researchers to conclude, in line with other research, that knowledge spillovers from competitors and client firms mostly occur through face-to-face contacts between the R&D staff of the two firms. So now you know why firms in the same business tend to cluster together, why that's a good thing and also, perhaps, why more and more of the nation's economic activity happens in or near the central business districts of our capital cities. As almost every economist will tell you, the market economy – the capitalist system, if you prefer – works in a way that's almost miraculous. All of us owe our present prosperity to it. Think of it: each of us in the marketplace – whether we're buyers or sellers, consumers or producers – is acting in our own interests. A butcher sells us meat not to do us a favour, but to make a living. We, in turn, buy our meat from him not to do him a favour, but to feed ourselves. That's how market economies work: everyone seeks to advance their own interests without regard for the interests of others. It ought to produce chaos, but doesn't. Somehow the market's "invisible hand" has taken all our selfish motivations and transformed them into an orderly, smooth-working system from which we all benefit. The butcher makes her living; we get the meat we need. Heard that story before? It contains much truth. But not the whole truth. Business people, economists and politicians often use it to imply that everything that happens in a market economy is wonderful. Or they use it to argue that the best way to get the most out of a market economy is to keep it as free as possible from intervention by meddling governments. We should keep government as small as possible and taxes as low as possible. But market economies aren't always orderly and smooth working. They move through cycles of wonderful booms but terrible busts. And it's not true that "all things work together for good". A fair bit of the self-seeking behaviour of producers isn't miraculously converted into consumer benefit. I've been reading a book called Phishing for Phools, a play on the online practice of phishing: posing as a reputable company to trick people into disclosing personal information. The authors say that "if business people behave in the purely selfish and self-serving way that economic theory assumes, our free-market system tends to spawn manipulation and deception. "The problem is not that there are a lot of evil people. Most people play by the rules and are just trying to make a good living. But, inevitably, the competitive pressures for businessmen to practice deception and manipulation in free markets lead us to buy, and pay too much for, products that we do not need; to work at jobs that give us little purpose; and to wonder why our lives have gone amiss." You're probably not terribly surprised to read such sentiments. The surprise is that they're being expressed by two economics professors, George Akerlof, of the University of California, Berkeley (and husband of the chair of the US Federal Reserve), and Robert Shiller, of Yale University, who are held in such high regard by their peers that they're separate winners of the Nobel prize in economics. They say they wrote the book as admirers of the free-market system, but hoping to help people better find their way in it. If competition between business people too often induces them to manipulate their customers, why do we so often fall for it? Because though economists assume we always act in our own best interest, psychologists have convincingly demonstrated that people frequently make decisions that aren't in their best interest. The market often gives people what they think they want rather what they really want. The authors point to common market outcomes that can't possibly be wanted. One is a high degree of personal financial insecurity. "Most adults, even in rich countries, go to bed at night worried about how to pay the bills," they say. Too many people find it too hard to always resist the blandishments of marketers so as to live easily within their budgets. It was all the phishing for phools in financial markets – people were sold houses they couldn't afford; people sold securities that weren't as safe as they were professed to be – that led to the global financial crisis and the Great Recession that hurt so many. Then there's the way processed foods from supermarkets and food sold by fast-food outlets and restaurants come laced with the health-harming things they know we love: salt, fat and sugar. The authors say a great deal of phishing comes from supplying us with misleading or erroneous information. "There are two ways to make money. The first is the honest way: give customers something they value at $1; produce it for less. "But another way is to give customers false information or induce them to reach a false conclusion so they think that what they are getting for $1 is worth that, even though it is actually worth less." Another class of phishing involves playing psychological tricks on us. According to the research of the American psychologist Robert Cialdini, we're phishable because we want to reciprocate gifts and favours, because we want to be nice to people we like, because we don't want to disobey authority, because we tend to follow others in deciding how to behave, because we want our decisions to be internally consistent, and because we are averse to taking losses. There's no better way to organise an economy than by using markets. But market outcomes are often far from perfect and we need governments to regulate them as well as offset some of their worst effects. There's no bigger question in politics today than why our governance has become so bad. Why our discussion of policies is so superficial and how any government could come up with so many ill-considered policies as we saw in Tony Abbott's first budget. No doubt the answer has many parts, but the more I think about Laura Tingle's Quarterly Essay, Political Amnesia, the more I think she's identified a key but neglected part of the explanation. She says our politicians and public servants have forgotten how to govern. In particular, the public service has lost much of its policy expertise – including its memory of what works and what doesn't. And the politicians have forgotten that they can't do their job to the electorate's satisfaction without the guidance of an expert public service. That's what the bureaucracy is for. Relations between the politicians and their bureaucrats are so little discussed by the media that I suspect many people still have a Yes, Minister view of what goes on in Canberra: the public servants pretend to be the servants of the politicians, but they're actually the bosses. Government is run by a bunch of Sir Humphreys who manipulate their ministers, pollies who come and go without making much difference. It did indeed work like that in Canberra as well as Whitehall, but that's been becoming less and less true since the 1970s. By now it's the very opposite of the truth. These days, ministers and their private office advisers have most of the power and their departments have surprisingly little. I might have said Treasury was the major exception to the new rule, were it not for the unprecedented disaster of the 2014 budget. No influential Treasury and Finance departments could have handed their political masters such a booby trap. It had to be largely the pollies' and their advisers' own incompetence. The move from Yes, Minister to Be It On Your Own Head, Minister has come in stages, starting with the decision of the Whitlam government to allow ministers a much greater personal staff of (unaccountable) policy advisers and media managers. The Fraser government perpetuated this "reform" with enthusiasm. The Hawke-Keating government's main contribution was to replace "permanent heads" of departments with department secretaries on five-year contracts. After five years heading one department you'd be moved to heading another. Thirty-odd years of this and now senior bureaucrats rarely stay long in any department, but climb the ladder by moving from department to department. They've gone from being long-experienced experts in particular policy areas to "universal managers". I may not know much about health or finance, but I know how to run a department. Great. It was John Howard who, on coming to government, immediately sacked many department heads. Abbott did the same on a smaller scale, but even sacked the secretary to the Treasury (and his likely successor). Their purpose was not so much to "politicise" the public service as to scare hell out of the other department heads: toe the line, don't give fearless advice. And don't get identified with a controversial policy the other side may take exception to. The plain fact is the Libs neither like nor trust the public service, the last bastion of the hated union movement. They've largely given up the practice of having many of the jobs in ministers' offices done by people on secondment from their department. They've been replaced by young bossyboots hoping for a career in politics, who know more about partisanship than policy and are more inclined to listen to lobbyists. Add to this the annual, deeper, across-the-board cuts in departmental budgets – ironically known as "efficiency dividends" – and you end up making many policy experts and repositories of corporate memory redundant. The result is that many departments are weak on policy – there was a time when officers in Finance knew where each department's bodies were buried – and have to call in expensive consultants, who act like they know more than they do. The part of Treasury responsible for tax reform has lost a third of its staff. Last year's budget and the fate of its progenitors stand as a lasting monument to the folly of running down the bureaucracy's policy-making capacity and limiting its role in policy formation in favour of young amateurs with a party pedigree. Fortunately, there are signs Malcolm Turnbull has learnt this lesson. He has just appointed his former department secretary in Communications as his chief-of-staff, and brought sacked Treasury secretary Dr Martin Parkinson in from the cold to be secretary of Prime Minister and Cabinet. He's too smart to think he doesn't need the bureaucrats' advice. What an exciting week it's been for lovers of thrills and spills in the economy. This time three months ago they were telling us it was near to subsiding into recession in the June quarter, but now they're telling us it took off like a rocket in the September quarter. Phew, what a miraculous escape. Or what a load of cods, brought to us by those who've learnt nothing from years of watching the national accounts' gyrations in real gross domestic product from one quarter to the next. You can either take those gyrations literally, or you can "look through" them, hoping for a better idea of what's really happening in the economy. The advantage of the first approach is that it's a lot more exciting. The disadvantage is that it convinces the public that economists know nothing and aren't to be trusted. Let's take the story back a further three months to the March quarter. The literalists told us the economy was growing strongly because the Bureau of Statistics announced a first stab at growth in the quarter of 0.9 per cent. Then we get growth slumping to 0.2 per cent (since revised to 0.3 per cent) in the June quarter, and now we get it soaring by another 0.9 per cent last quarter. If you had a better feel for arithmetic than the literalists, you might think that, since the March quarter increase was a lot bigger than could have been expected, it wasn't all that surprising the June quarter increase was a lot smaller than could have been expected. And since the June quarter increase was a lot smaller than could have been expected, it wasn't all that surprising the September quarter increase was a lot bigger than could have been expected. It's notable that the component of GDP that explained most of the weakness in the June quarter also did most to explain the strength in the September quarter: the volume of exports. Export volumes grew by an unusually strong 3.7 per cent in the March quarter, then fell by 3.3 per cent in the June quarter, then grew by an unusually strong 4.6 per cent in the latest quarter. This tells us little about what was happening in the wider economy. Rather, it tells us how climate change is playing havoc with the bureau's seasonal adjustment process. Huh? Export volumes have been growing mainly because all our new coal and iron ore mines are coming into production. Seasonally adjusted exports of coal were up in the March quarter because there were fewer cyclones than usually happen at that time of year. They were down in the June quarter because the weather was much worse than usual. And why did they rebound in the September quarter? You guessed it: the weather was better than normal. So those economists warning that our strong GDP growth in the latest quarter is unlikely to represent the start of a better growth trajectory are no doubt right. But those people arguing that, since the growth in exports last quarter accounts for more than all the growth in GDP in the quarter, the domestic economy obviously went backwards and so must be very weak, aren't making a sensible comparison. It's not sensible to give the "domestic economy" no credit for all the export growth our miners are generating, while making it bear the full burden of the sharp fall in mining investment spending. No, to get a better idea of how the great "transition" to broader-based growth is progressing, it makes more sense to divide the economy between the mining and mining-related sector, and the rest of the economy. Doing this shows that, whereas the latest accounts say the overall economy grew by 2.5 per cent over the year to September – a quite believable figure – the non-mining economy grew by about 3 per cent. That is, when you put all the elements of mining together – the growth in its production and exports, the fall in its investment spending and the associated fall in imports of mining equipment – you find that, rather than accounting for more than all of it, mining is actually subtracting from overall growth. To get a better handle on what's happening inside the non-mining sector, the Reserve Bank reported in its latest statement on monetary policy an exercise where it set aside mining – and agriculture – and divided the rest of the economy into three sectors. First was the "goods-related" sector, composed of manufacturing, construction, utilities and distribution (transport, wholesale and retail trade). Second was the "household services" sector, including health, education, hospitality and recreation. Third was the "business services" sector, including professional and scientific services, finance and insurance, hiring and real estate, and information and telecommunications. The rate of growth in the household services sector has increased considerably over the past few years. It has experienced increased employment and job vacancies over the past year or more. The rate of growth in the business services sector has picked up a bit, to be about average. It has experienced a recovery in job vacancies and employment. So the economy's huge services sector is doing reasonably well. It's the goods-related sector where output growth remains weak, little changed for more than two years. Vacancies and employment have been little changed for about three years. Thus there's been an accelerated shift from goods to services. And since services are more labour-intensive, while the goods-related sector is more capital-intensive, this explains why non-mining business investment has yet to recover. It also explains why, economy-wide, we've enjoyed above-average growth in employment in spite of below-average growth in GDP for the past year or more. So the transition to broader-based growth is proceeding. And once the huge fall in mining investment spending has come to an end, our growth figures should look a lot better than they do now. That, too, is just arithmetic. Glenn Stevens, governor of the Reserve Bank, is used to getting letters from angry citizens. Aside from the ones demanding to know why the Reserve can't solve all our problems by just printing more money, in days past most would have come from small-business people complaining about the latest increase in the official interest rate, which had taken their overdraft rate to ruinous levels. These days, most come from angry retirees complaining about yet another cut in rates. Doesn't he realise people are trying to live on the interest on their savings? That's the trouble with interest rates, of course, they cut both ways – a cost of borrowers, but income to savers. The media assume we're all borrowers, so they boo rate rises and cheer rate cuts, adding insult to the oldies' injury. Like all central banks, the Reserve raises interest rates when it wants to slow the economy by discouraging borrowing and spending, and cuts rates when it wants to speed things up – as now. It jumps that way because households' and businesses' debts total a lot more than their savings. When I was a young economic journalist in the 1970s, the retired were always complaining about high inflation. Their cost of living was rising rapidly, but they had to live on "fixed incomes" that didn't keep pace. We eventually solved that problem. Interest rates caught up with higher inflation and, as well, we moved to adjusting pensions regularly in line with prices and then with wages. By the early 1990s we finally had inflation back under control. How times change. These days, most people retire with superannuation or other savings, which they use to supplement – or occasionally replace – their pension. And since they need to live on the earnings from their savings, they need those earnings to be steady, not go up and down like the share market. Thus the retired like to put most of their savings in interest-bearing bank accounts, term deposits or pension funds that have most of their money in bonds. So these days a lot of retired are back to living on "fixed incomes", meaning they hate to see interest rates falling. Our official interest rate is down to 2 per cent, a record low, having been cut 10 times since late 2011. The rates paid to savers are only a little higher. Even so, our rates are relatively high compared with most advanced countries. They're near zero in most developed economies, and in parts of Europe you actually have to pay the bank a tiny percentage to persuade it to hold your money. I'll let you into an open secret: Stevens will be retiring as governor next September, though since he'll only be 58 – just a boy, really – I doubt he'll be putting his feet up. He said a few things last week that make you think he's turning his mind to retirement. And he doesn't like what he sees. "My guess is that global interest rates are still going to be very low for a good part of the decade ahead," he told the Australian Business Economists. It's likely the US Federal Reserve will raise its official interest rate a fraction this month. But Stevens doesn't see US rates rising far. The European Central Bank and the Bank of Japan were "a long way from even thinking about higher interest rates". And the Europeans are openly contemplating further cuts. So the average official interest rate in the major money centres may be very low for quite a while, he said. Trouble is, "in a low interest-rate world, the problems of providing retirement incomes will become ever more prominent". The very low level of yields (returns) on government bonds and other fixed-interest securities means the prices of such securities are very high (it was actually rising bond prices that caused yields to go so low). So these days it costs you or your pension fund a lot just to buy securities that pay such low amounts of interest. Which is another way of saying you now need to retire with a lot more savings than you did to maintain a given standard of living. Added to that, we're living longer and so need our savings to last longer. Stevens said the retiree can, of course, respond to the reduced attractiveness of fixed-interest securities by holding more of her savings in dividend-paying shares. This involves accepting more risk of volatility, of course. Certain well-known Aussie companies pay big, steady dividends, which usually come with refundable income tax rebates (known as franking credits) attached. Most people would also be hoping to see these dividends grow over time, as inflation continues. "It certainly seems that many Australian listed corporates feel the pressure from shareholders to deliver that, even some whose earnings are inherently volatile," Stevens said. Can the corporate sector realistically promise growing dividends over a long period? Not without being prepared to take on greater risk by investing in new projects. "How much of that risk an older shareholder base will allow boards and managements of listed entities to take is an important question," he said. "Overall, in a world where a bigger proportion of the population wants to be retired and living (even if only in part) off the return on their savings, those returns are likely, all other things equal, to be lower." A good argument for delaying retirement. The belief that increased competition leads to greater efficiency and higher productivity is one of the articles of faith for admission to the economic priesthood. Economic practitioners often know little about the peculiarities of particular markets – about their specific areas of market failure – and often don't think they need to know because what they do know about is their profession's two magic answers to inefficiency. The first is to "get the incentives right" (the claimed rationale for much tax reform) and the second is to increase competitive pressure. There's a lot of truth to both propositions, but not as much as it suits economists to believe. Because it comes from their model of markets, many economists' belief that the more competition the better – and the more choice the better – is so deeply ingrained it requires no empirical confirmation. This makes economists chronic sufferers from what psychologists call "confirmation bias" – they make a mental note of all the examples they see that seem to confirm their pre-existing views about how the economy works, but quickly forget those examples that don't. So when the Turnbull government confidently asserts that implementing the many recommendations of Professor Ian Harper's review of competition policy will do much to lift the economy's rate of productivity improvement, few economists are inclined to demur. Many of the reforms Harper proposes make much sense: ending the protection of chemists, coastal shipping and the owners of taxi licences and intellectual property, rationalising the pricing regimes for roads and water, and changing to an "effects test" in trade practices law. Initially, Harper wanted deregulation of liquor licensing laws, but pulled back when economists who did know about the market failures in the area showed him evidence of the significant "negative social externalities​" (e.g. people getting bashed outside pubs) associated with alcohol consumption. Who knew? Unfortunately, Harper's church-going ways haven't helped him appreciate the potentially adverse effects on family life – family life? Why would an economist know or care about family life? – arising from further deregulation of retail trading hours. We'll see how many of Harper's braver proposals are actually implemented. In any case, most of them are up to the premiers, not the feds. But the most potentially alarming is Harper's proposal that the principles of competition policy be extended to the domain of "human services" – healthcare, education and community services – which is mainly the responsibility of the states. There's no denying that health and education are areas of huge government spending and economic significance, replete with inefficiencies and ineffectiveness. They ought to be much higher on the reform agenda than yet more tinkering with the tax system and the wage-fixing rules. But to frame them as part of competition policy is an old economists' trick: take an area that's always been outside the marketplace and marketise​ it. Take the world as it is and make it more like the textbook assumes it to be. Apply the economists' two magic answers – getting the incentives right and introducing competition and choice – and everything will fix itself without the economists ever needing to come to grips with the causes of the particular inefficiencies that are causing the problem. Brilliant. But often disastrous. Think of the string of stuff-ups that have followed the econocrats' efforts to contract-out the provision of government services. Think of the allegations of widespread rorting by operators of the job services network that replaced the Commonwealth Employment Service. Think of the way contracting-out of childcare services allowed the rise and collapse of ABC Learning, at great cost and inconvenience to parents and taxpayers. Think of last week's collapse of Vocation Ltd and the much wider rorting of the misguided experiment with profit-motivated provision of higher education. Federal and state "reformers" are totally stuffing up vocational education in response to the problems with TAFE. Think of all the money federal taxpayers have pumped into private schools in the sacred name of choice, without any evidence of this wider competition leading to higher standards of education on either side of the fence. Think of all the effort put into the MySchool website to promote choice and competition while our scores continue to slide on the international indicators of literacy and numeracy. Even the pink batts scheme is an example of the disaster – and death – that can follow when you naively give profit-motivated business people a pipeline into government coffers. Sorry, econocrats. If you want to achieve genuine improvements in the delivery of health and education and community services, you'll have to try a mighty lot harder than applying magic answers. When is slower economic growth not such a bad thing? When it's caused by lower growth in the population. If that puzzles you, you're a victim of the economists' practice of focusing on growth in gross domestic product rather than GDP per person. Nigel Ray, a deputy secretary of Treasury, acknowledged in a speech to the Australian Business Economists this week that last financial year, 2014-15, the economy recorded its third straight year of below-trend growth. "This means Australia is now in a prolonged period of below-par growth, the likes of which we have rarely seen outside of a recession," he said. We'll be seeing the national accounts for the September quarter on Wednesday, but they're unlikely to show much improvement. Reserve Bank heavies have been hinting at it for months, but this week Ray made it official: the economy's trend rate of growth is actually lower than the econocrats had been assuming in recent years. But what exactly is "trend" growth? Good question because there are actually two versions of it (or three if you include the Bureau of Statistics' practice of referring to its smoothed seasonally adjusted estimates as "trend" estimates). The backward-looking version of trend is the economy's average actual rate of growth over past 10 years or more. Since 1976-77, for instance, real GDP has grown at an average rate of 3.1 per cent a year. If nothing in the economy ever changed, the backward-looking version of trend would be the same as the forward-looking version, but things do change. The future trend rate of growth is also known as the economy's "potential" rate of growth, the maximum rate at which it can grow over the medium-term – periods of five or 10 years or so – without causing a big problem with inflation. The economy's potential rate of growth is the rate at which its ability to produce goods and services is growing. This, therefore, refers to the supply side of the economy. The supply side involves combining the economy's three "factors of production" – land, labour and capital – to produce goods and services. Here, "land" includes natural resources and "capital" means man-made, physical capital, such as buildings and equipment, but also roads and other public infrastructure. But the economists' custom is to view the economy's supply side – its capacity to produce goods and services – through the perspective of just one factor, labour. So the economy's potential output is seen as being determined by "the three Ps": population, participation and productivity. Potential growth in production is determine by growth in the population of working age (everyone 15 and over) plus change in the rate at which people of working age choose to participate in the labour force by working or seeking work, plus growth in the productivity of labour (average output per hour worked). Of course, the economy's potential to supply goods and services is only half the story. How much is actually produced in any period will be determined by the demand for goods and services at the time. Demand can't exceed supply (when it tries, the excess demand that can't be satisfied from imports just forces prices up), but it can fall short of potential supply. When it does, labour is unemployed or underemployed (people not working as many hours as they want to) and factories and offices have idle capacity. That's the position we've been in for the past three years: the growth in our demand for goods and services has been falling short of the growth in our potential to supply them. So when the econocrats say growth has been "below trend", that's what they mean. And every year that actual output falls short of our potential output we get a widening in what economists call "the output gap", which will be manifest in rising unemployment or underemployment as well as unused production capacity in factories and offices. Whereas we usually think of potential output as an annual rate of growth, the output gap is measured as the difference between the absolute levels of potential and actual output. The size of the output gap is an indicator of the failure of the managers of the macro economy to achieve their goal of keeping its actual growth in line with its potential growth – that is, to keep it growing at full capacity or "full employment" (of all the factors of production, not just labour). The continued existence of the business cycle means they can never achieve this goal, of course, but it's still their job to try. The size of the output gap is also a measure of the extent to which a recovering economy can for a few years grow faster than its trend (potential) rate without that causing any inflation problem. A period of above-trend growth is actually the only way to eliminate the output gap and get the economy back to growing at its full-employment rate. For some years the econocrats' estimate has been that the economy's potential or (forward-looking) trend rate of growth is 3 per cent a year, compared with its actual growth over the year to June of 2.3 per cent. Ray said this includes an assumption that the working-age population grows by 1.75 per cent a year, its actual rate over the past 10 years. But now actual growth has slowed to 1.5 per cent because of a decline in holders of temporary visas and lower net migration from New Zealand. So Treasury has cut its estimate of trend (potential) growth to 2.75 per cent, thereby reducing its estimate of the size of the output gap. Why is this not such a bad thing? Because, although the growth in workers helping to produce goods and services is likely to be lower than we thought, there'll also be fewer people we have to share those goods and services with. GDP per person shouldn't be much affected. If I was going to wander around the inner city chalking messages on the pavement in copperplate, they wouldn't say Eternity. They'd say Wake Up. Why? Because, contrary to rumour, the Nanny State doesn't exist. If you fail to pay attention because you assume that the market economy will always deliver you a square deal, you're heading for disillusionment. If you think it's the government's job to ensure no one ever rips you off, you have much to learn. Indeed, it's just as likely to be the pollies who decided to short-change you when they realised you were too busy watching reality television to notice. Take the great debate about tax reform. Now the best-informed are telling us the government has thought better of changing the goods and services tax, I fear the debate will turn in a distinctly more boring direction – to reducing the generosity of tax concessions for superannuation. Mention super and everyone over 50 pricks up their ears, while everyone under 50 wonders what's on telly tonight. To date, that's meant that the over-50s have been looked after at the expense of the under-50s. To date, the debate over super tax concessions has been about their rapidly growing cost – about $25 billion a year in reduced tax collections – and the fact that the lion's share of this loss to the budget goes to high-income earners (like me). That is, it's a question of fairness between rich and poor. But in their latest paper on super tax concessions, to be released on Wednesday, John Daley, Brendan Coates and Danielle Wood, of the Grattan Institute, argue that the reform of super can also be advocated on the grounds of fairness between the old and the young. It's not something often talked about, but our budget and social security arrangements – as with all advanced economies – have a "generational bargain" built into them. The bargain is simple: except perhaps for the period when they're raising a family, people of working age generally pay more in tax than they get back in benefits, with the difference used to provide those who are too old to work with a lot more in benefits than the little they pay in taxes. Since we all expect to get old one day, this was regarded as a quite fair bargain between the generations. And until recently, paying for it all wasn't a big problem, because the number of workers was growing a lot faster than the number of oldies. What's changed is the ageing of the population and the retirement of the baby boomers, which means the number of oldies needing to be supported from the budget has started growing a lot faster than the number of workers. But Daley and his co-authors point out that it's not just demography that's undermining the generational bargain. The politicians have been making it worse by increasing the generosity of benefits to the old. In Australia's case, John Howard was always slipping extra benefits to the alleged "self-funded retirees", who he regarded as a key part of the Liberal heartland. He gave them the senior Australians tax offset and made it easier for them to get health cards and the pensioners' rate for pharmaceutical benefits. Then Peter Costello came along and made a lot of supposedly self-funded people eligible for a part pension, as well as making super payouts completely tax-free for people over 60. Not to be outdone, Kevin Rudd granted pensioners a big discretionary increase on top of regular indexation to average weekly earnings. Daley and his colleagues show that the largest increases in government spending have been on healthcare (where federal and state governments spend twice as much on each 60-year-old as on a 30-year-old) and the age pension. "Both of these spending categories grew substantially faster than gross domestic product, not because of the ageing of the population, but because of explicit and implicit choices to spend more per person of a given age," they say. In 2010, and after removing the effect of inflation, the two levels of government spent $9400 a year more per household over 65 than they did six years earlier. At the same time, the average amount of income tax paid by those 65 and over fell in real terms, despite an increase in incomes. This generosity has been funded by running budget deficits and borrowing to cover them. Who'll be paying the interest on that debt? Not the oldies. Over the past decade, according to Grattan's calculations, older households captured most of the growth in Australia's wealth. Households aged between 65 and 74 years today are $400,000 (or 27 per cent) wealthier in real terms than households of that age 10 years ago. Meanwhile, the wealth of households aged 25 to 34 years fell by $2000 (or 4 per cent). This is partly explained by rising house prices, of course. Older households are far more likely to own their home than younger households. And, of course, the value of their home is ignored when assessing their eligibility for an age pension. If the young do take an interest in the reform of super tax concessions, they'll find they're being asked to agree to exclude themselves from the largess being enjoyed by the older generation. But until a halt is called, the generational unfairness will keep worsening. Remember when we used to worry about the budget deficit? In case you've stopped following the story, recent developments are well summarised by a crikey.com headline: Lucky we don't have a revenue problem, because revenue looks bad. The big budget news last week was that wages grew by just 2.3 per cent over the year to September, taking wage growth in the private sector - of 2.1 per cent - to its lowest in the 18-year history of the wage price index. Add to that the recent weakness in iron ore and other commodity prices and it won't be surprising to find Treasury revising down its revenue forecasts yet again when we see the mid-year budget review next month. The closer the review's publication is to Christmas, the more anxious we'll know the government is to avoid having us realise how far the Coalition's concern about debt and deficit has receded. Apart from the dishonest nonsense the Coalition talked when in opposition, you could feel some sympathy for it as, like its Labor predecessors, it watches Treasury's confidently predicted resurgence in tax collections fail to materialise year after year. But it's hard to be sympathetic when you find the new Treasurer, Scott Morrison, instead of seizing the God-given opportunity to set his predecessor's follies behind him, jumping into Hockey's hole and starting to dig. Morrison hadn't been in the job long before he began repeating a line Hockey had belatedly stopped repeating that, with the budget, "we don't have a revenue problem, we have a spending problem". Why would any treasurer in his right mind say such a patently stupid thing? Because he's allowing ideological preference to override the plain facts. There's a strong anti-government prejudice alive in the hard right of the Liberal Party, which proceeds on the assumption that all increases in government spending are wasteful and wrong, whereas all cuts in taxes and increases in tax expenditures are a step forward, even if they add to the budget deficit. There's some sympathy for these prejudices among economists because their neo-classical model of markets assumes a world composed solely of individual consumers and firms, and thus has a built-in presumption against the legitimacy of any form of collective action. So, though it's true that Labor's big, unfunded spending plans are part of the present budget problem, it's necessary for the anti-government brigade to insist that excessive spending is the only problem. The eight tax cuts in a row and Peter Costello's unsustainably generous increases in superannuation tax concessions simply can't be part of the problem since, by assumption, all reductions in tax are a good thing. Trouble is, this prejudice is what shaped the most politically disastrous budget in living memory, the one that did most to cause its treasurer and prime minister to be deposed within the following 18 months. The 2014 budget sought to return the budget to surplus almost solely by measures to reduce the growth of government spending, but was repudiated by the electorate and the Senate. The plain fact is, the great majority of voters are not anti-government. They won't tolerate serious cuts in spending on welfare, health or education, even if they're often tempted by happy talk of lower taxes. You'd expect the man who lusted after Hockey's job to be the first to get that message, but apparently not. So it's time for Malcolm Turnbull to come in over the top and set the government's thinking on a more sensible course, just as he's doing with defence and security. Both history and commonsense say the budget won't be got back on track without both spending cuts and revenue measures, particularly cuts in tax expenditures such as super concessions. Tax reform is the enemy of budget repair. It's being pushed by people who really believe the dream of lower taxes (for them, if not for everyone else). If the tax package doesn't worsen the budget deficit directly - as it probably will - it will harm it in an opportunity-cost sense by appropriating tax-expenditure savings that should have been used to reduce the deficit. Tax reform is shaping as a huge anticlimax. By the time Turnbull knocks it into shape politically it will involve a lot of change and political risk, while leaving a lot of people feeling short-changed in the lower-tax department and achieving surprisingly little in the way of improved economic efficiency. As every Treasury intergenerational report reminds us, tax is headed inexorably up, not down. The sooner Turnbull kills off the lower-taxes pipe dream, the better he'll be able to manage the nation's affairs.